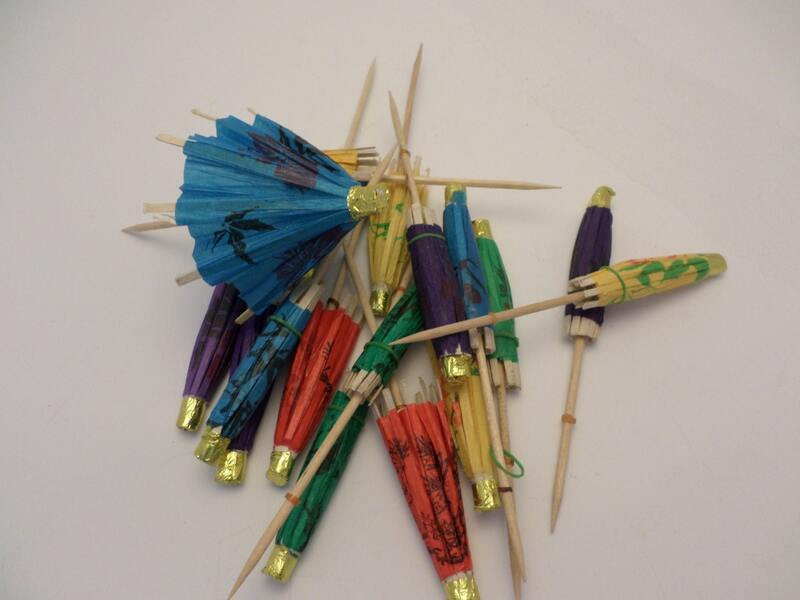 4 & 1/4" toothpicks with parasols n them. very well made these are older and never used and are of substantial quality. 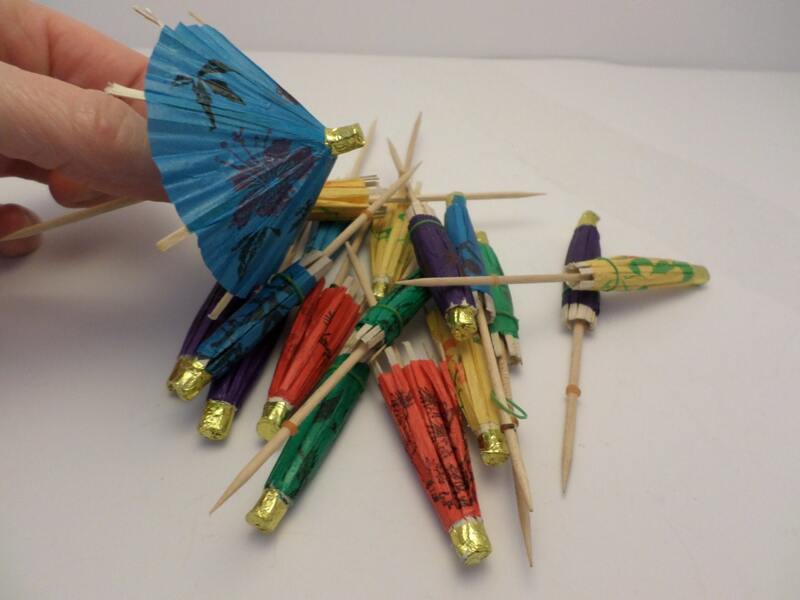 they have the gold foil top, they open by pushing up like with a regular umbrella. 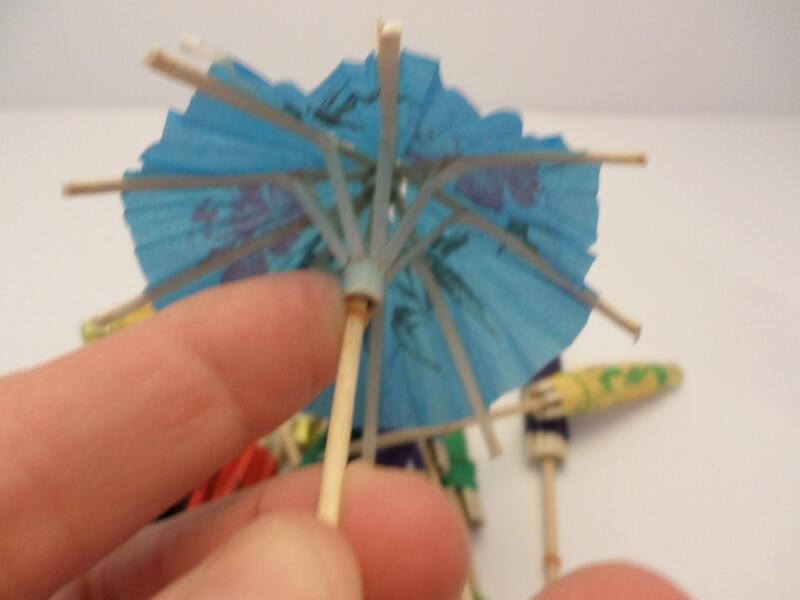 some of them even have the original rubber band holding the paper umbrella closed. 4 purple,2 red,4 yellow, 3 green, 4 blue.